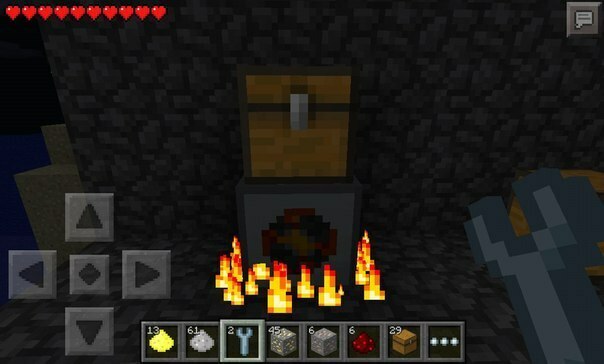 The script adds similar to buildcraft system handlers for Minecraft Pocket Edition, miners and transporters. The script is ready for a full game with it. While there is no energy in the script and the mechanisms that require it, get it from coal. 1 to interact with the mechanism we need a chest. it is put on a mechanism, it is put fuel, raw materials, it puts the result of the mechanism of their work. 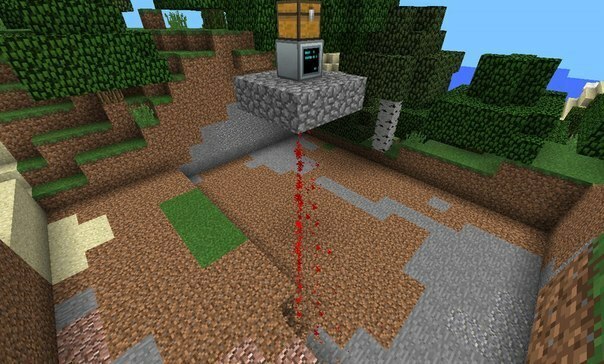 - Hogging, grinds iron or gold ore in 2 dust (time 20 seconds), the dust can be melted down into ingots, powered by coal (coal 1 - 40 seconds). 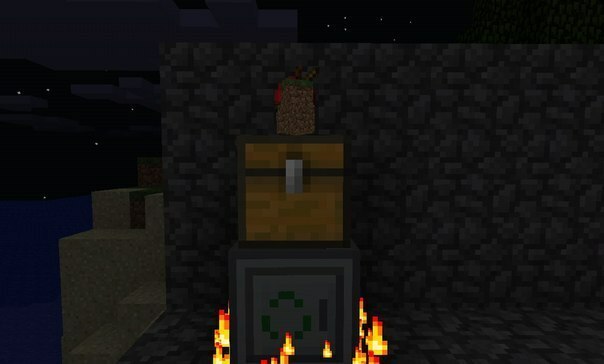 - Recovery is useful when you have a lot of garbage, does not require fuel, removes all items from the trunk above it, with a 10% probability of throwing out a random item on the chest. - Auto-farmer - plows 9x9 blocks under a put water drops seeds seedlings come out of the trunk, if something has grown collects it, the trees cut down completely, may use bone meal. 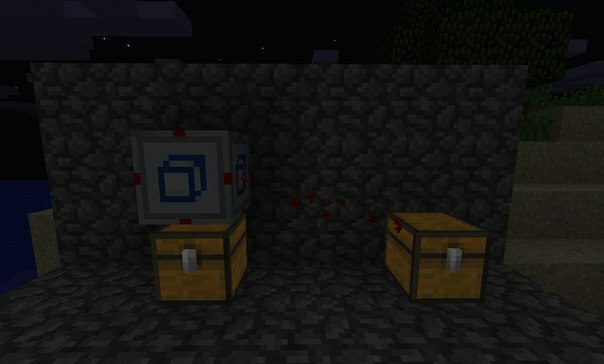 - Conveyor - a very important mechanism is put over the trunk and connects with another chest with a key, first click on it, and then on the chest. times per second transfer of the first stack from the chest underneath the connected trunk, if it is not crowded. Can work as a sorter, for this set above the conveyor trunk and put it in those things that will be transmitted transporter and only objects of this type of transporter to shift to the connected trunk. Chest can be opened if it stands on a conveyor. - Svetopyl (thing) is now craft svetopyl 1 of 4 gold dust and 5 Redstone. In the next version of the script to be added to the energy generators and now the mechanisms that worked on coal will run on electricity. Energy can be connected wirelessly over short distances with the help of key.